As we come to the end of this season of Asian Threads, Reenita looks back at the meaning of 'transformation.' Many of us rely upon the others to aide our personal transformation - spiritual advisors, mind-body gurus and increasingly yoga teachers. Yoga helps many of us through our journeys of transformation but what we don't realize is that the yoga teachers who help us through this have been on an entire journey themselves.Often, they are still traveling on it. 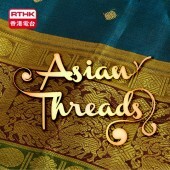 On this episode of Asian Threads, Reenita talks with Tom Lee and Christy Marshall, two San Francisco based yoga instructors about their own personal yoga journeys.